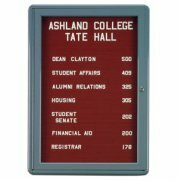 Display your message with these eye-catching radius-edged announcement boards. Constructed for durability, the powder-coated aluminum trim will last for years to come. Units include locks with 2 keys included for security. 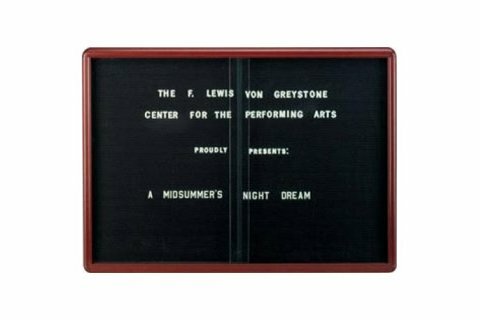 The letter panels come complete with 3/4" Helvetica letters, number and characters. 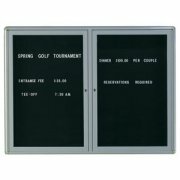 Non-illuminated, optional personalized headers are available to further define your message center. The optional header may be used on its own or together with any Radius Design Boards.